The weather forecast all week said cloud and rain, and for the most part, they were right. But for large parts of Elaine and Brian’s wedding at the Vancouver Golf Club in Coquitlam, there were actually sunny periods, mostly during their beautiful wedding ceremony on the top deck of the Golf Club. 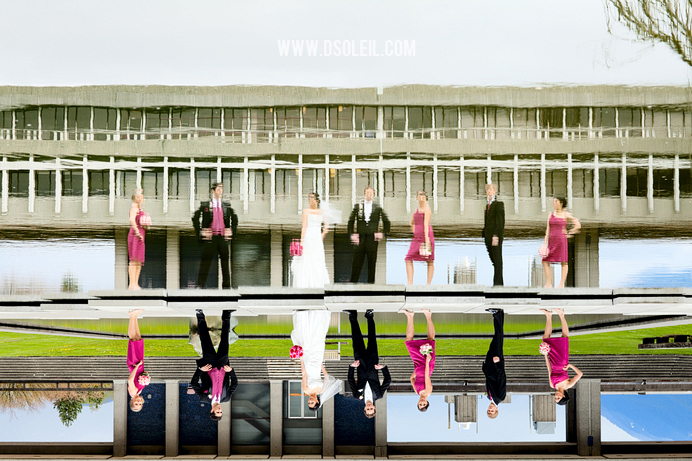 For their photos in the afternoon, we visited the SFU campus (coincidentally, Underworld 4 was filming that day) with the wedding party and I was given free reign to create a number of photos I thought worked well for the campus and this rainy, cloudy, with a peak of sun sorta day. LOVE! Daniel, thank-you for being a part of our special day, you were amazing. Can’t wait to see the rest of the photos! Nice first shot. It’s very unique. Love the flip on the second. Makes you look a second time. Awesome photos! Love the first image! Keep up the great work! 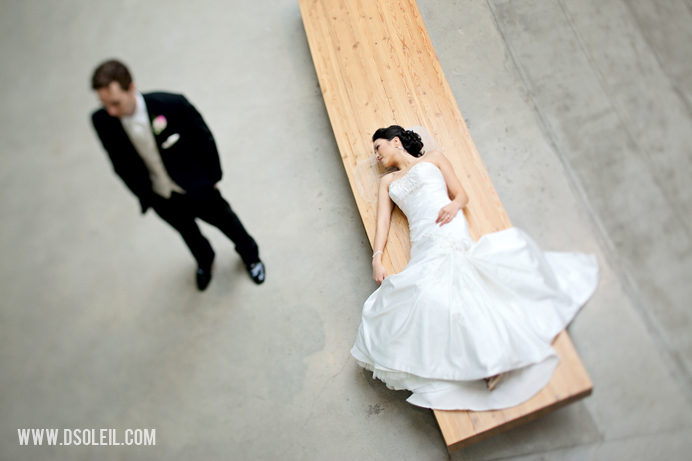 Nice wedding photos, and others published photo very amazing. This is the way i would like to have my wedding photos! Awesome! Fantastic images. I love them both. Totally awesome! Nice – very cool reflection shot and flip.